Brandon Hesselrode is a superintendent for Superior Development, LLC. He works hard to ensure the job is done right. Time management and strong work ethic make him a perfect fit for the team. Before joining the ranks as a superintendent he held many roles on the construction site. Whether the details of punch out work or the demands of a remodeling job, quality is of upmost importance. A longtime resident of Nashville, known as “Coach” on the weekends, he enjoys life in the city. Whether coaching his son’s little league baseball team, or cheering his daughter’s soccer team he is a devoted family man. Guided by his strong Christian values and moral principle he makes his faith part of his every day life. Customer satisfaction is of upmost importance and his attention to detail and work ethic keep the customers returning. 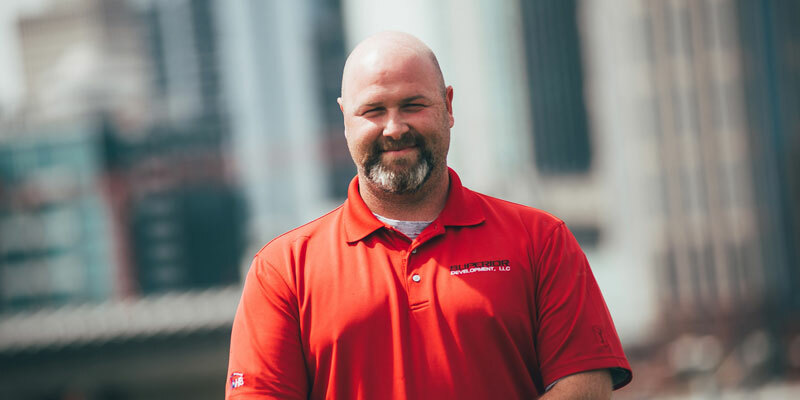 He joined Superior Development, LLC to be a part of a company that cares about the work they do not only for the client, but the community and environment.